The Prologue Stage proved to be a challenging day for many and a breakout for others. 2015 Baja Rally winner, Steve Hengeveld, had a terrific start, but it was number 25 Garrett Poucher that left the starting line first for Special Stage 1 – later enduring an accident during Wednesday’s SS1 that led to his withdrawal from the race. Only three incidents occurred Tuesday morning with one man out on a minor injury and two others out with mechanical issues. Though Wednesday began a few short, the list of worthy competitors was still full to the brim. 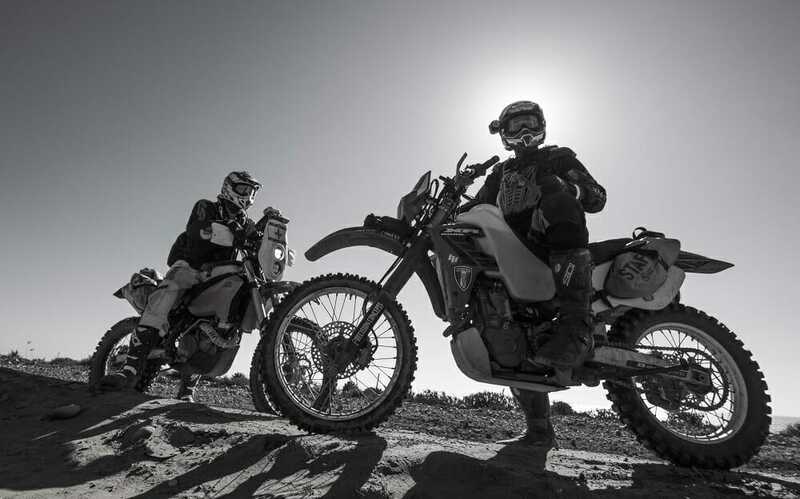 Winding their way down the western coastline and often crisscrossing the slippery mountains, riders and drivers found themselves, again, facing obstacles hidden within the effortlessly beautiful terrain of Baja. Special Stage 1 came to a close with great distances between the racers and even fewer contenders for the remaining week. Steve Hengeveld, not so unexpectedly, pushed his way to the top finishing strong. And as the big bikes held their own, many rode to their limits well past sunset to avoid penalty. But whatever time they finished, all the competitors were formidable. One can only expect the battle will be as exciting in the following days as it has been in the last two. Tonight we bivouac along the ocean among rolling sand dunes and crashing waves. Locals will sell us their wares or the catch of the day, and those who are lucky will sleep soundly before Thursday’s challenges waken them before the sun. 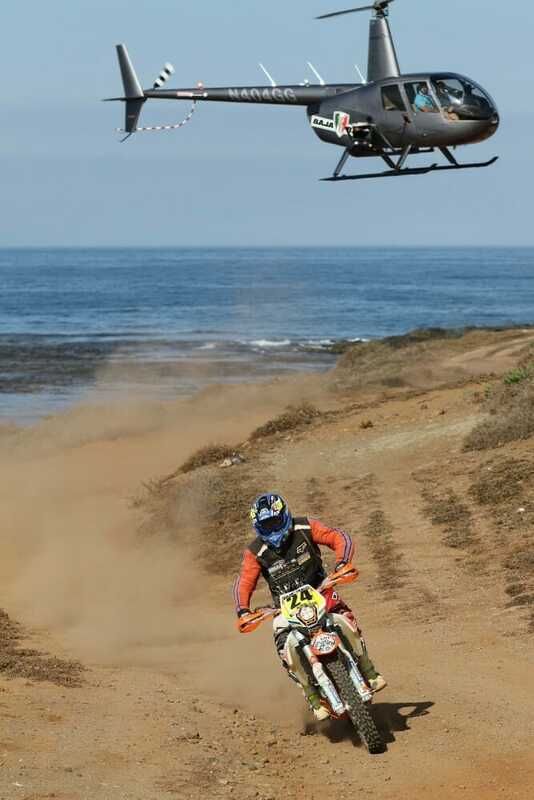 The Baja Rally is the first and only FIM-style navigation rally raid in the Mexican State of Baja California. 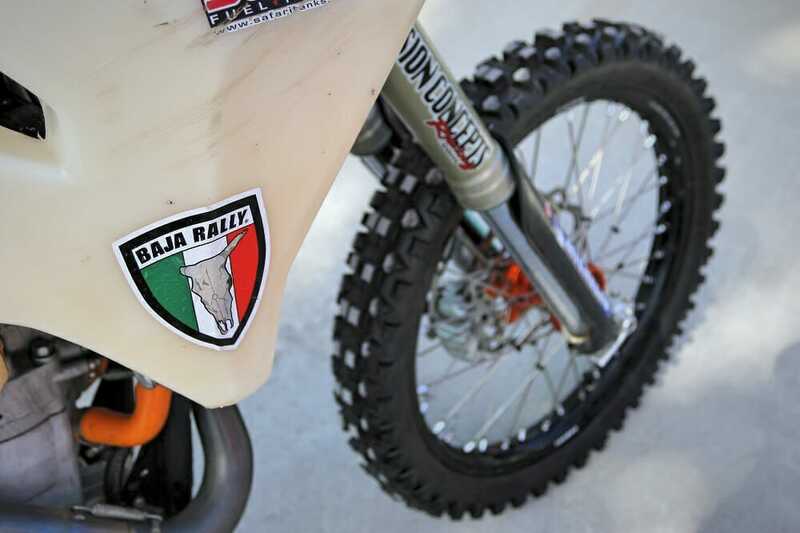 Modeled after the world famous Dakar Rally, the Baja Rally has been endorsed by federal, state and municipal governments as an “eco-adventure” racing competition because of its low impact on the environment and through cooperation with federal regulators. Four years since its inception, the Baja Rally is branded as a human experience designed to test racers’ stamina, skill and mechanical prowess. To read more Rally Racing news, click HERE.